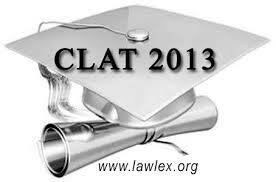 You are at:Home»Lex Bulletin»CLAT First Provisional List to be reviewed soon. CLAT First Provisional List to be reviewed soon. In a major development related to CLAT 2013, it is notified on the CLAT official website that the First Provisional Allotment List is being reviewed and revised thoroughly from all angles. Based on the outcome of the review, the revised list will be notified on the CLAT website at the earliest. However no specific date for publication of final reviewed list has been mentioned by CLAT Committee which has used the term “at the earliest”. Moreover Allotment list for PG candidates has already been delayed due to submission of fresh preference list as many NLU’s started One Year LLM Programme. The CLAT Committee on 2nd June notified that PG Allotment List will be released in the 2nd week of June. As 2nd week has already started so such review will possibly delay the declaration of allotment list for PG candidates. Previous ArticleInternship at Law Chambers of Senior Advocate Ms. Geeta Luthra, New Delhi. Next Article Can right to beg be read under Article 19(1)(a)?